The race for Mayor of Chicago just got more crowded as Amara Enyia is set to announce that she’s running, making her the 10th candidate for the city’s top post. 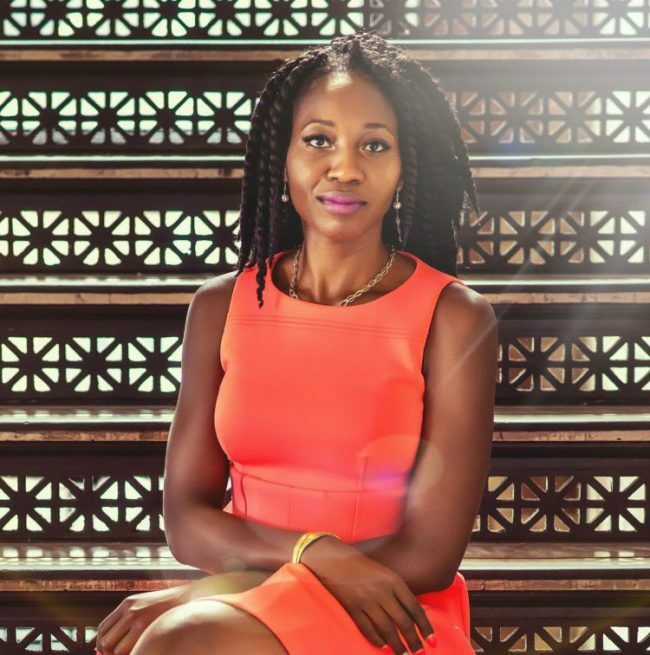 Enyia, 35, is a public policy expert on city and state policy as well as international affairs, foreign policy with expertise in Central Asia, Africa, Latin America and the Middle East and of course Chicago. Enya writes extensively on issues of education economic development fiscal policy and systems thinking. Enyia ran for mayor of Chicago in 2014 and has since become a thought leader and top public policy consultant. Enyia says her main mission is to direct investment to under served communities in Chicago and make sure every child can walk to a great neighborhood school — two tasks many have talked about over the years but none have been able to accomplish in Chicago. Currently Enyia serves as the executive director of the Austin Chamber of Commerce in the Austin community. She worked as a Chicago City Hall policy analyst under Mayor Richard M. Daley, runs her own business consulting governmental bodies around the world, and founded the Institute for Cooperative Economics. She holds a Master’s Degree in education, a law degree, and a Ph.D in education policy. She serves on the national leadership team for the Public Banking Institute, and was named a Public Policy Global Leadership Fellow with the Global Strategists Association. The daughter of Nigerian immigrants, Enyia has a twin sister and four other siblings and speaks five languages — Igbo, Spanish, French and Portuguese, in addition to English. Enyia is single and lives on the West Side, where she spoke to Bob Chiarito of The Chicago Ambassador on the eve of her official announcement, set to take place Tuesday at the Co-Prosperity Center in Bridgeport. CA) Do you feel like a legitimate shot to win or are you running to make a statement? ENYIA) Definitely not to make a statement. I feel that we have a legitimate shot to win because we have a message that resonates with people and this campaign is about representing the values of the people of Chicago. We have spent time organizing across the city so we will come out as a show of force. It’s not just one person running for mayor, it’s about the people across the city saying ‘This is the type of person we believe reflects the values that we have and can get the city moving in the right direction.’ I think it’s a lot different from the campaigns that have launched so far. CA) What are you doing different this time compared to last time when you ran? ENYIA) Last time was my first time as candidate for any office, so there were a lot of lessons learned. Some hard lessons learned. So, we have come back better, stronger and wiser. This time we the infrastructure that we need and that we lacked last time. We have an attorney on board and the appropriate fundraising staff on board. We had the energy and the message the first time but it was a learning process. This time we aren’t making the same mistakes so we won’t have the same pitfalls. We’re ready. CA) You aren’t from Chicago, are you? ENYIA) No. My family lived in the south suburbs and my dad taught at Governor’s State University. We split our time between the suburbs and Uptown, which is is where all the African immigrant families congregated back in the 1980s and 1990s. CA) You live on the West Side now? ENYIA) Yes, as long as I’ve lived in Chicago I’ve lived on the West Side. CA) Why are you making your announcement in Bridgeport? ENYIA) Well, there’s the symbolic reason. People see it as the seat of political power in Chicago but more importantly, the space represents what the campaign represents. It’s called the Co-Prosperity Center and it speaks to a certain principle that we want to embody. It’s a gathering space where artists come to display and make their art. It’s a space where activism takes place, where organizing takes place. So, the space represents in many ways what the campaign represents and it so happens that it’s in Bridgeport so it worked out. CA) Your major issue seems to be the schools and the violence in the city — and that’s all tied together. ENYIA) Yes. I’m a systems thinker so I always have many areas of focus and expertise that we have to deal with at the same time. To address any of those issues, you have to address economic investment, education, housing access, the city’s finances and the fiscal challenges that we’ve had. And violence to me is a symptom of our public policy failings across the board. That certainly involves everything from public health hazards to the lack of investment in communities and everything in-between. What is necessary for anyone who wants to serve the public in this role is a deep understanding of all of the issues, the complexities of those issues and how they need to be addressed to move the city forward on all fronts. CA) You haven’t served in public office in any capacity, correct? ENYIA) I have not been elected to any position. I have worked in government. I worked in the Mayor’s office in the Daley [Richard M.] administration. CA) Did you consider running for Alderman instead of such a lofty position and one that’s probably hardest to attain — position of mayor? ENYIA) [Laughs] Anyone who knows my track record knows that I tend to go all-in on things that are important. For me, it’s about recognizing that the city has some really significant challenges but the way I was raised is that my parents taught me that we have a responsibility that every gift, talent and skill that we have is supposed to be used to serve the people and we shirk that responsibility when we wait for other people to do what we know we can do. So running for mayor to me doesn’t seem like some lofty goal. Rather, it seems like something that makes sense to do, something that I’m obligated to do if we are trying to actualize a vision for the city that will affect people’s lives. CA) Were you urged to run by supporters or was it something that you wanted to do again? CA) I believe you’re the 10th person running. CA) Why do you think so many are running? Does that hurt your odds or impact anything? ENYIA) I don’t know. I think what the number of candidates says is that the mayor is vulnerable. I personally don’t believe in underestimating anyone or overestimating vulnerability but I think it speaks to two things. One, is that they are sensing he’s vulnerable because of his track record, because of the many egregious things that have happened over the last four years since he was re-elected. And two, I think it speaks to the general frustration and a growing sense that something needs to change. CA) What would you say is the thing that Mayor Emanuel has handled the worst? ENYIA) I think overall the problem is that when you have someone who lacks the fundamental understanding of what makes Chicago great and who doesn’t have a vision for Chicago. Then you would understand why the neighborhoods are so important. You would understand why it’s not enough just to attract large corporate headquarters downtown. You would understand why you have to have honesty and be forthright if you’re closing schools. You can’t just do that and expect that there’s not going to be consequences. So, if you don’t have that fundamental understanding you end up doing things the way he does, which is completely wrong. And then, he has no vision for the city. Where are we going? It’s as if we have been limping along from one crisis to the next crisis, then a few big projects announced here and there to appease some residents. There’s no cohesive vision under which the entire city can unify and move forward together. That’s why you see a growing chasm between one part of the city and the other, this group and that group. He doesn’t understand how to respond to that and even if you lack a vision you have the humility to be able to rely on those who can help you to understand better. If you don’t have that humility then there is no growth. We haven’t seen the mayor learn from his mistakes. He simply managed crisis after crisis and is hoping to live through another re-election by relying on the one thing that he’s good at, which is raising money. CA) You said he doesn’t realize what makes Chicago great. What do you think makes Chicago great? ENYIA) It’s the diversity of the city, the diversity of the neighborhoods. We do have this vibrant downtown but we also have these amazing neighborhood enclaves where people are doing amazing things. This isn’t a city that wants to be Manhattan. Chicago wants to be Chicago. We aren’t trying to be anyone else and if you honor that then you will do things that are actually beneficial to existing residents. This city has so many assets that we don’t leverage because we are so busy selling them off, privatizing it. CA) You talked about his fundraising and his large war chest is no secret. Do you have the funds to last throughout the campaign?